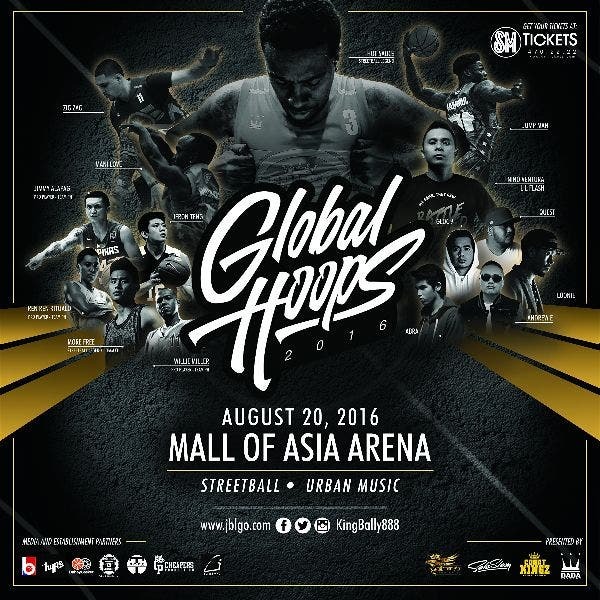 GLOBAL HOOPS 2016 TICKET GIVEAWAY: Catch the Streetball Teams from USA, China, and Philippines! This coming August 20, 2016 – King Bally Events and Promotions is putting together one of the biggest basketball events to hit Metro Manila! Right after the FIBA Qualifiers this July, King Bally gives the Pinoy basketball fan a closer look at the world wide sensation called “Streetball” – popularized by the western culture in the early 2000’s and now has taken over the world by storm! MOA Arena becomes the center stage as Team Philippines will battle it out against Team China (RZP) and Team USA (Court Kingz)! Let’s help our team defend our home front! Team USA will be headlined by streetball legend Hotsauce (Court Kingz) while, Team China will be led by More Free. Team Philippines – currently putting together its dream team will be aided by the country’s leading streetball team, players like Lil Flash, Air David, Bally Hustla and the rest of Hype Basketball. Our team will comprise of several high caliber players such as Ren Ren Ritualo, Don Allado, Wesley Gonzales, Willie Miller (2X PBA MVP), Cholo Villanueva, Carlo Sharma and more!! This event will also be highlighted by hiphop performances by Abra, Loonie, Ron Henley, Quest, The Philippine All Stars and an icon that will definitely rock the house! This endeavor by King Bally will support the following beneficiaries – Childrens Hour, Earth Day and Christian Mission Service Philippines (CMSP). This makes this exhibition games more relevant and fruitful for everyone in attendance! Get your tickets now at SM Tickets www.smtickets.com !! Patron at 1,090 | Lower Box at 790 | Upper Box at 590 | General Admission is at 390 – super affordable ticket prices for our audience! This event is presented to you by King Bally, Dada, Court Kingz and BasketballTV – the official TV partner of Global Hoops. Alongside our media partners – Buhay Basket, When In Manila.Com & The HypeShow WAVE 89.1FM. Win tickets for you and your friend to Global Hoops 2016! 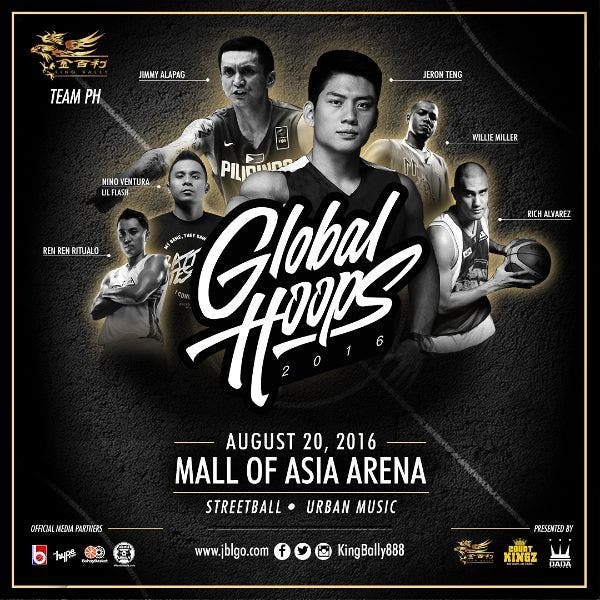 WhenInManila.com and King Bally are giving away tickets to Global Hoops 2016! We will choose five (5) winners, each of whom will get 2 tickets each. Contest runs from August 4 to August 10. See below for the contest mechanics, and be sure to check this article for the announcement of winners! Congratulations to the following winners of Global Hoops 2016 tickets! Winners will be contacted privately. Thank you to everyone who joined! See you there! Health Bistro: Get Fit The Delicious Way!